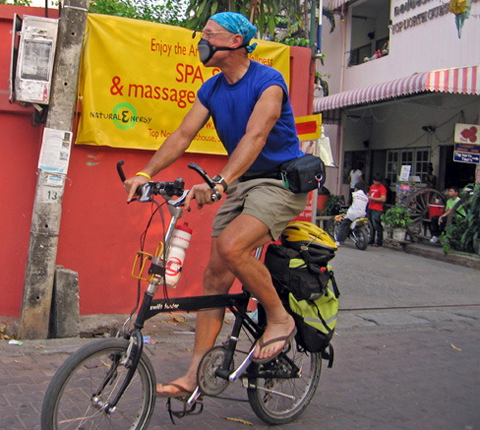 Here’s Maurice, a very determined RAB customer on his re-rebuilt Swift, somewhere in Asia. Frame durability is everything! 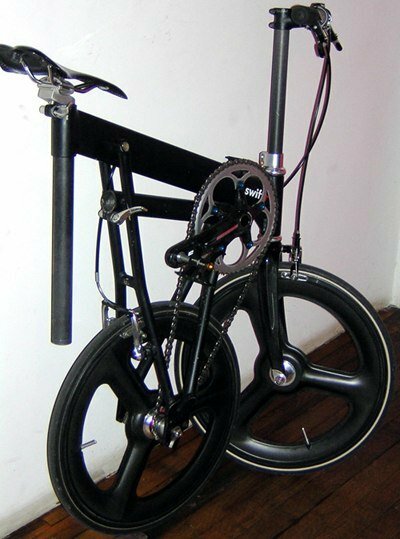 All the other parts are meant to be replaced over time (and the frame itself carries a lifetime warranty, should you have just replaced everything else). No promise on when or how much, but it’s worth pursuing. It was that last definition that sold me. The cozy cottage industry image of little black bikes, like chimney swifts, hidden in homes across the city, waiting to take their lucky owners out on exhilarating and extraordinarily efficient journeys, then fold up again, ready for the next time. To Karl, Nathan, and Tom, who liked what they saw and made it grow. To Matt, George, Steve, Jarad, Karen at RAB, TimesUp!’s Bill and Hannah, Mike McGettigan at Trophy, David at Bfold, Dave at Bikeworks, Steve Stollman, Cathy Cahill, Wendy Brawer, Noel Wiggins, Alex Wetmore, James Black, Joey the fast, Sky, Luke, Trevor, and most of all, to Karen—my guiding light. This site is really only about the frame—that’s all that’s unique to the bike. 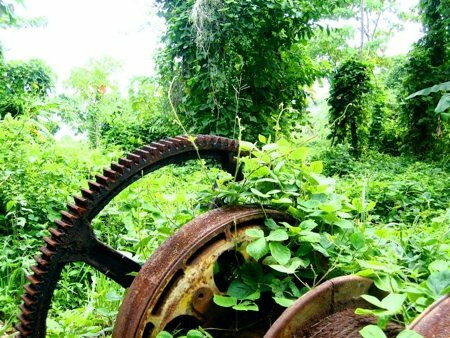 What gets bolted on to it, the care it receives, and who rides it are what bring it to life. 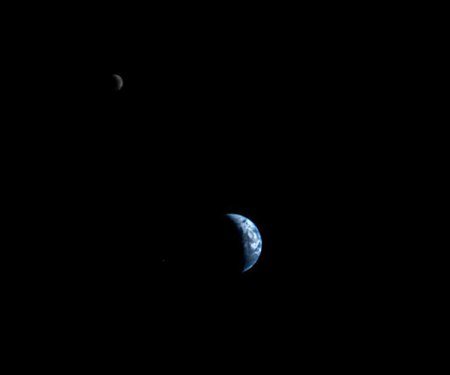 Both are so small, so inconsequential in the infinite void. The big difference between them is an incredibly thin, delicate, and beautiful film of gas, water, and life sheathing the earth. A wonderful little layer, and right now, it’s our one and only nest. There is no plan B.
Let’s accept our good luck so far, and take comfort in time’s steady willingness to heal our excesses. Traversing a great space or performing many movements in a brief time; rapid; quick. Capable of quick motion; fleet; speedy. 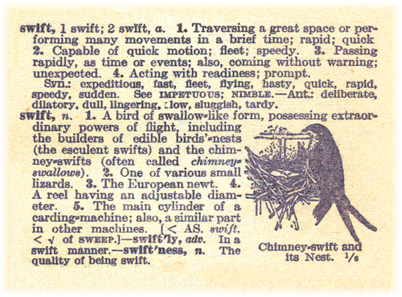 A bird of swallow-like form, possessing extraordinary powers of flight (often called chimney-swifts).